LANCASTER – Colette Menzel, Ph.D. has been named chief operations officer (COO) of Antelope Valley Hospital (AVH) effective immediately. She is now both COO and chief financial officer (CFO), a position she has held for 10 months. In addition, the board of directors has approved Menzel as the official successor to Chief Executive Officer Mike Wall. 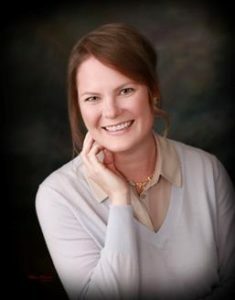 Menzel is serving on the board of the AV Boys and Girls Club as well as the AV Board of Trade and is an active member of the Lancaster West Rotary Club. Prior to joining AVH, Menzel was vice president of finance for Corra, a digital e-commerce agency with offices in New York, Los Angeles and London. In her short time at AVH Menzel has led a financial turnaround. This included working with Moody’s Corporation and Investor’s Service, which issued an updated credit rating and revised the hospital’s outlook from negative to stable. Menzel’s other achievements include being instrumental in the passage of Measure H on the November ballot, putting together a joint venture for outpatient surgery, and major improvements in financial stability, as well as guidance on values and culture at AVH. Menzel is completing a second Master of Science degree in finance from Harvard University. She has earned both a Ph.D. and Master of Science degrees in organizational management and leadership and a Bachelor of Arts degree in political science and finance. She lectures at universities, such as UCLA and San Jose State University, and is committed to guest lectures and appearances throughout the state.